Our good friends at Hagerty Insurance have taken great care of the NICOclub fleet of classics over the years, with everything from stated-value comprehensive and collision coverage, to roadside assistance, to valuation help, to DIY articles and featured classics. 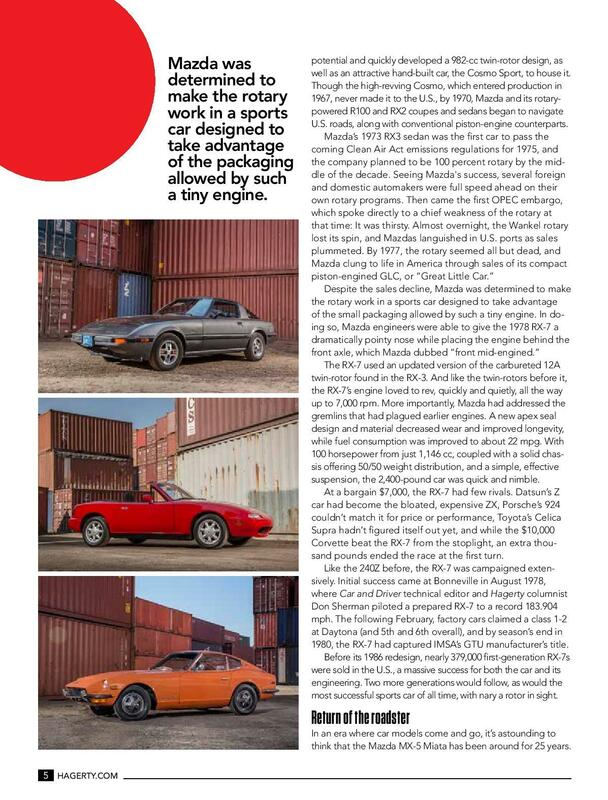 So, we’re always eager to see our copy of the Hagerty magazine arrive in the mail… it’s a great read, and one of the many benefits of insuring with them. 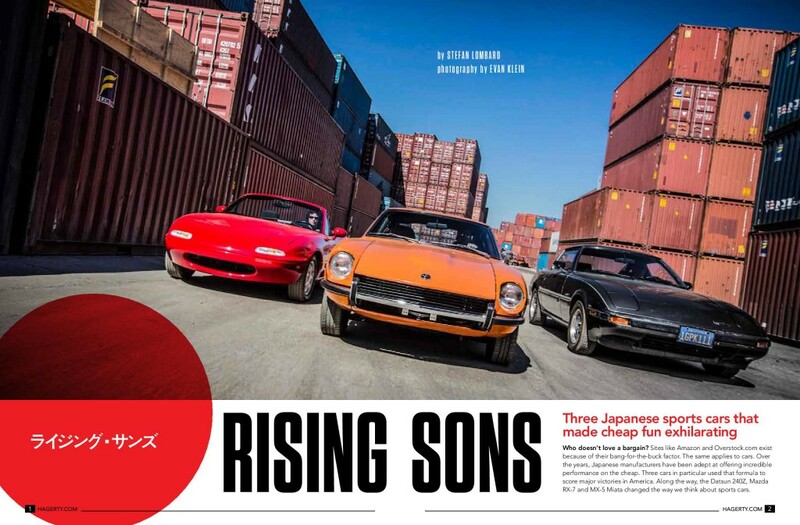 As is the case with most companies catering to collector car enthusiasts, however, Hagerty’s always been a little thin on their coverage of Japanese content, simply because their client base (i.e. readership) skews toward American iron. 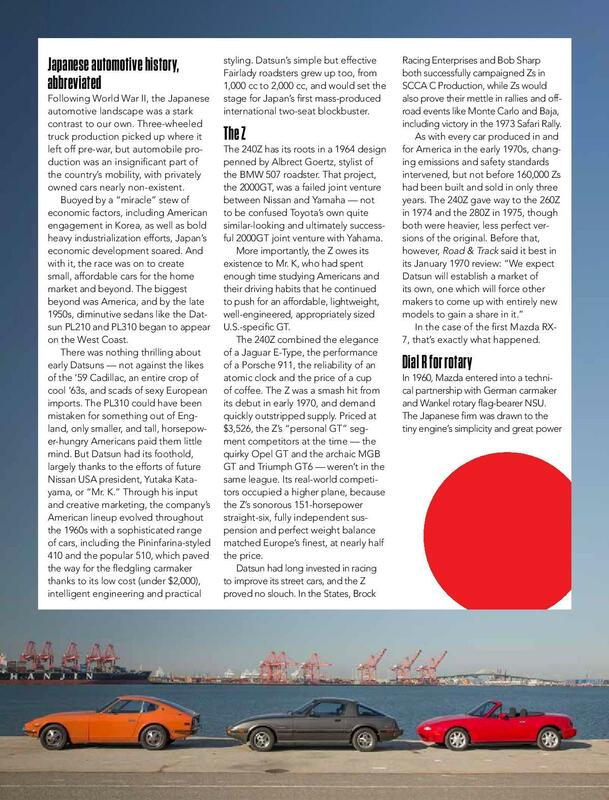 Well, the times, they are a-changin’, and we got a SUPER-early sneak preview of an article they’ll be running in the Summer 2014 issue… We wanted to share it with you guys. …and, of course, if you’re lucky enough to own a Datsun Z (or any classic Datsun for that matter), join us on the Datsun Forums and tell us about YOUR classic!